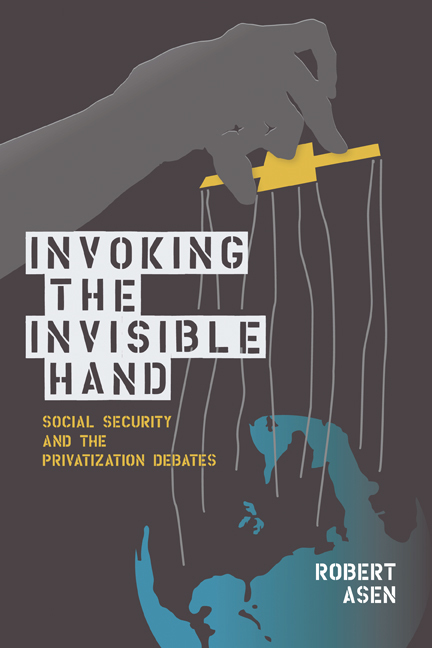 In Invoking the Invisible Hand Robert Asen scrutinizes contemporary debates over proposals to privatize Social Security. Asen argues that a rights-based rhetoric employed by Social Security's original supporters enabled advocates of privatization to align their proposals with the widely held belief that Social Security functions simply as a return on a worker's contributions and that it is not, in fact, a social insurance program. By analyzing major debates over a preeminent American institution, Asen reveals the ways in which language is deployed to identify problems for public policy, craft policy solutions, and promote policies to the populace. He shows how debate participants seek to create favorable contexts for their preferred policies and how they connect these policies to idealized images of the nation.